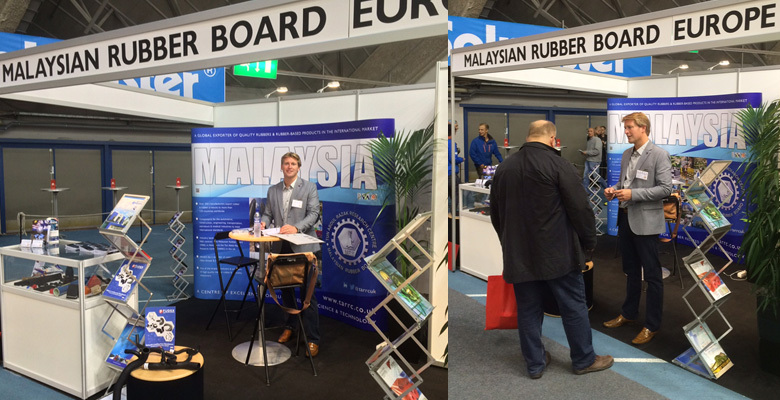 TARRC exhibited as the Malaysian Rubber Board Europe for the fifth time at one of Scandinavia's largest subcontracting trade fairs, Alihankinta. Alihankinta, held annually in Tampere, Finland at the Tampere Sports and Exhibition Centre, attracted a total of 16,955 visitors and approximately 1,000 exhibitors from 20 countries. The next Subcontracting Trade Fair, Alihankinta 2016, will take place between 27th and 29th September 2016 (held two weeks later than usual). 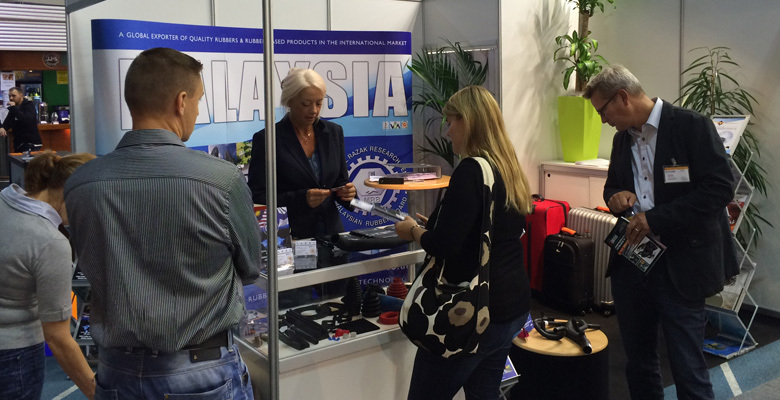 Once again at this trade show, TARRC received lots of interest from the Scandanavian market and it is expected, as before, that business will follow for the Malaysian rubber product manufacturers. If you were unable to make it to Alihankinta 2015 but would like to take advantage of TARRC's in-depth knowledge of the manufacturing industry in Malaysia and what it can offer you, please contact us. "Once again the Subcontracting Trade Fair showed that people want to meet each other face to face and this event meets that need excellently. The event is also becoming more and more international every year, which supports the companies’ opportunities to build networks and find partners to promote their competitiveness in the global market. Our international visitors have been positively surprised by the extent of the Subcontracting Trade Fair and the fact that they can explore the entire Finnish industrial sector’s offering in Tampere. Russian and Norwegian delegations, among others, visited the trade fair and were very happy with the event." says Managing Director Hannu Vähätalo of Tampere Trade Fairs Ltd.
TARRC is expected to exhibit at Alihankinta 2016 and we look forward to seeing you there! For more information on Alihankinta 2015/2016 please visit their official website www.alihankinta.fi.